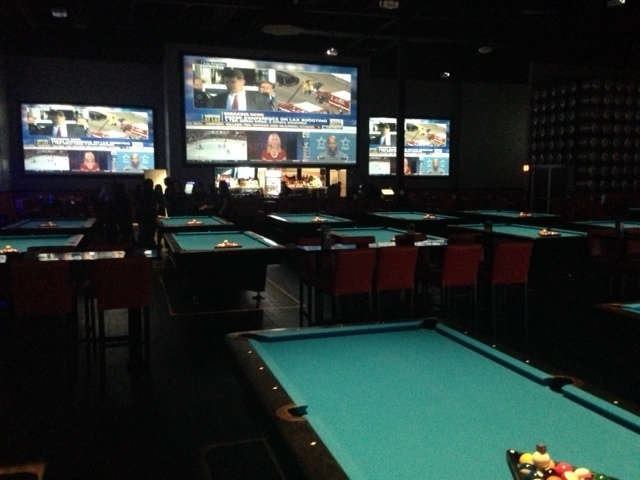 Easy Eights Sports Bar in McAllen features the largest screens in the Rio Grande Valley. 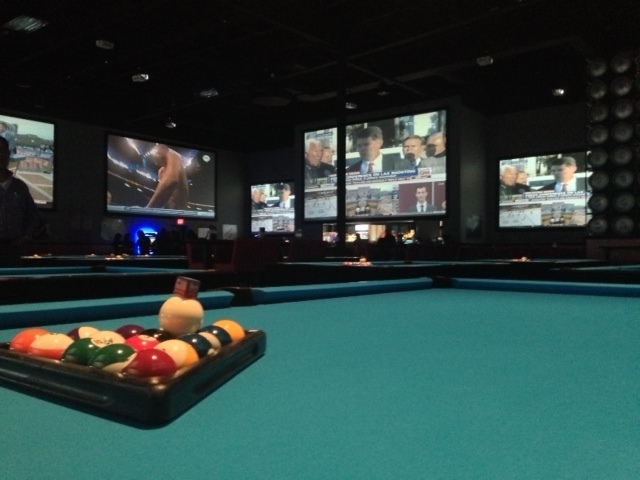 This amazing audio/video system includes 12-20 foot wide projector screens and a SoundTube speaker system with 12-8" speakers, and 8 subwoofers 20 feet high, pushing 4000 watts of power. All Video is linked to a Matrix system that can allow any one of its 8 DIRECTV, 2 Time warner, or 2 Sky satellite receivers to be watched and moved to any combination of screens including a few screens that have a 4 way split. All this can be controlled and managed with an Ipad on site or remotely.